To March 30. 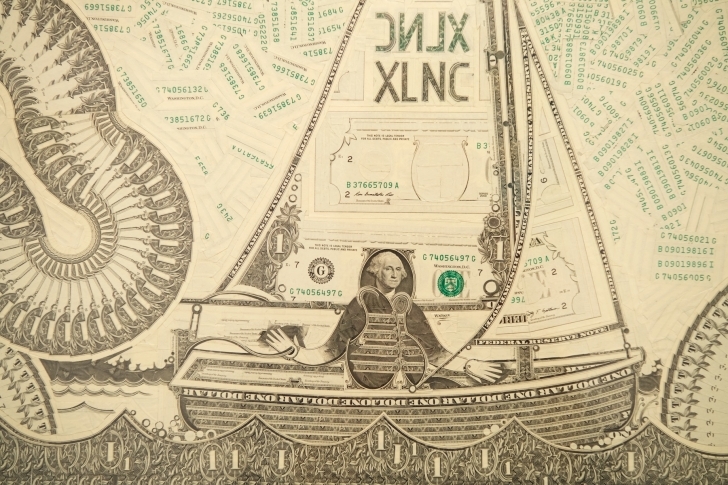 On display in "Mediums of Exchange," now at Shirley Fiterman Art Center at BMCC, is the work of contemporary artists who use currency as a material in their work, or take a conceptual approach to the global economic system. They are among many artists who have turned their attention to this subject following the 2008 financial crisis. Where: Shirley Fiterman Art Center, Borough of Manhattan Community College, 81 Barclay St. Hours and more information here. Artists featured: Nina Beier, Moyra Davey, Stuart Elster, Jane Fine, Meschac Gaba, Ghost of a Dream, Jonathan Herder, Takashi Kunitani, Agnieszka Kurant, Rob Pruitt, Yuken Teruya, Hanna von Goeler, Mark Wagner, Michael Wang, Nari Ward and Andy Warhol.